With interest rates across the globe at all-time lows, in the UK for example the Bank of England interest rate is at 0.5%, if you are looking for a return on savings account the rates of return are impossibly so. As central banks have sought to ride out the financial crisis by lending more and trying to put people off saving money, you may be looking for a way to get better returns than the incredibly low rates of interest the banks are offering. One such way has long been the investment in commodities and in the modern world possibly the best commodity investment is in silver. Here is a basic guide to buying physical silver. When investing your money, the traditional, most well-known approach is investment in stocks and shares. However these are risky investments which can fluctuate massively and are dependent upon a variety of factors beyond your control, and you are just as likely to lose money as you are to make it on the stock market. This is why commodities have become a more acceptable way for individual savers or investors to invest their money. With most commodity products there is a limited supply and as more people want to invest in them the demand increase outstrips supply. And with basic economic theory, the price will increase. There are various types of goods described as ‘commodities’; precious metals, industry metals, diamonds, oil and natural products are some examples of this. Precious metals are amongst the most stable in investment terms, and tend to make the steadiest return for a low-level individual investor. Other types of commodity tend to be vulnerable to large level investment artificially increasing the price by buying up huge amounts and controlling the supply to the market as recently happened with cocoa beans. Silver tends to be the most stable of the precious metals as it lacks the grandeur of investing in gold or other metals, as it is perceived as a more ‘common’ metal. When looking at investing in silver you should consider the price relative to how much you have saved and are prepared to invest. If you have significant savings and are looking to invest it all, take a look at the price fluctuations over the past few weeks or months and make a decision on how much you are prepared to invest. When choosing how to invest you should consider whether you want to buy directly, or use a service which will buy and manage it on your behalf. 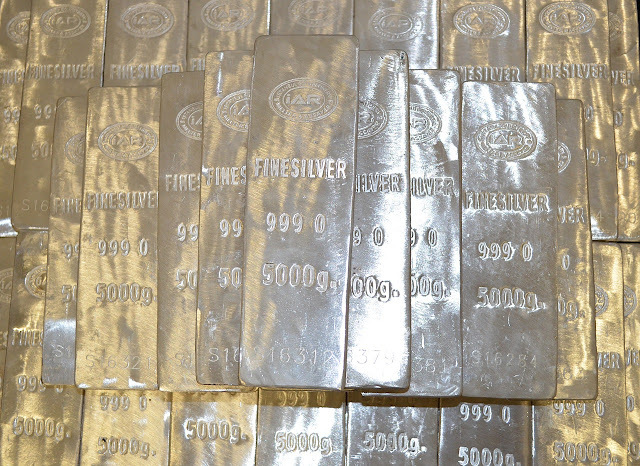 When investing in silver if you are buying bars or the silver in another form it is preferable to use a service which will deliver the product to you. When buying physical silver this can be done online and delivered straight to your home, saving you the trouble of having to buy it from directly from suppliers. Silver is a precious metal which is increasing in value and is an affordable commodity product and a great alternative to traditional forms of investment.